Healthy nutrition consists of m.in. on making the right choices, replacing poor quality and unhealthy products with their better counterparts. Weakness to sweet taste is the proverbial Achilles heel of many, even very determined people. Often plans aimed at changing the diet, or specifically – reduction of excess body fat, are abandoned, precisely because of difficulties with inhibition of the desire for sweet foods. Xylitol – a sweetener of natural origin, which apart from sweetness has other beneficial properties, may be helpful in this situation. 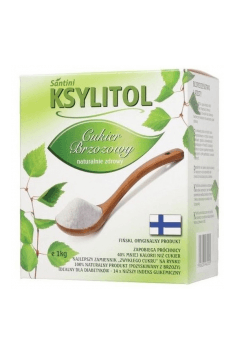 Xylitol, also called birch sugar, is a sugar alcohol, a substance naturally occurring in nature (eg in fibrous and woody parts of some plants, including – popular vegetables and fruits). This relationship was discovered at the end of the 19th century. Interest in xylitol is associated with quite interesting properties that make it an excellent alternative to table sugar. How is it different from ordinary sugar? How to take care of the appropriate level of sugar during training? Heart rate monitor – how it was made? How to properly regenerate after training?